Obesity rates amongst Australian children and adolescents have increased dramatically in the past few decades. Yet physically active children are better equipped for school, being more social, less susceptible to depression and anxiety and displaying better memory and thinking skills. 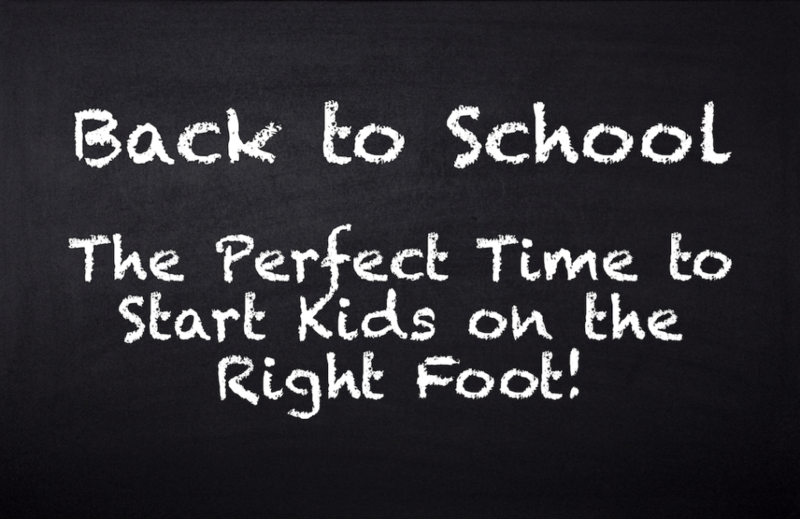 So, the start of the school year is the perfect time to start fresh routines, prioritising daily physical activity. As well as impacting academic outcomes, exercise has also been shown to affect the size of children’s brains. A European study found that children who are physically fit have a greater volume of grey matter in the brain, which is important for executive function (the mental skills that help us get things done), learning, motor skills and visual processing1. Australia’s report card on children’s physical activity in the biannual report card compiled by Active Healthy Kids Australia has been given a D−, effectively a fail. It shows that four out of five primary school-aged children don’t meet the minimum requirements of an hour of moderate to vigorous physical activity each day; even fewer are doing strength or weight-based activities2. Chair of the APA Paediatric group, Nicole Haynes, says parents have a vital role in encouraging their children to create and maintain new exercise habits into their daily lives − such as regularly walking to and from school. “Sedentary habits aren’t likely to be broken unless there are easy, attractive ways for kids and teens to be regularly active. One easy thing parents can do is ensure that their kids’ school bags and shoes fit properly, so that their travel to and from school – whether that be walking, cycling or riding a scooter – is comfortable enough to encourage kids to be active. The Australian Physiotherapy Association (APA) has endorsed Ascent shoes and Spartan backpacks for their ergonomic fit, comfort and function, making parent’s choices easier. Nicole also urges parents not to be concerned about children carrying a backpack of moderate weight, as weight-bearing activities like this can in fact prevent back pain in adolescence. At Beechboro Physio we strive to help our patients to “Keep Moving”. Encouraging your kids to be active, can be a great opportunity for you go for a walk and keep moving as well. Call today for more information 9377 2522.